Let’s face facts! 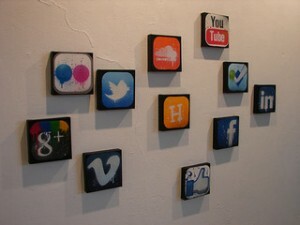 Most people use social networking websites for one thing or another. You rarely come across someone who doesn’t have some kind of social network profile, either a Facebook, Twitter or some other type of account. As a small business, you need to include social media marketing as part of your strategy; the reasons vary, but marketing experts will not deny that social media platforms offer great ways to connect with customers, build a brand and develop long-lasting relationships with customers. As you will see if you read the latest about Phorm and what they’re implementing, you will also not be able to deny that marketing practices are always changing. Right now they are veering towards personalized content on social media platforms. Every business that wants to participate on social media platforms should have a blog. This doesn’t require you to be very tech-savvy, yet can be one of the most powerful online marketing tools you use. Just think – how many times do you come across a study or article that relates to your business, and consequently, wanted to share it with other people? A blog allows you to do just that. You can announce sales, upcoming events and write special articles about your product, service or industry. Facebook is still the king-of-kings when it comes to social media platforms, and the Facebook team helps businesses market and brand themselves by allowing them to create a Facebook page. This page allows you to share information about your business, website link, offer status updates, sales, events and more. You can share content and build rapport with other business associates and fans. Most social media platforms like Twitter or Facebook allow you to run contests or polls, to create more interest and interaction between you and your fans. Consider running a contest or poll once in a while to get fans and friends to participate and interact. You can find these ready made on the social media platform, or by running a quick search for an interesting contest. The only way to brand and run a successful social media campaign is to engage followers in as many ways as possible. This includes adding attractive visual elements, fun games and contest, or controversial posts and interesting information. This creates Likes, comments, and sharing with other users on whichever social media platform you choose. By Damian Davila, blogger and online marketer living in Honolulu, Hawaii. Best known for his tech blog, he covers the latest trends and news from the Internet. Social Media has a lot to offer for people from various walks of life. It is a great boon if utilized wisely. Marketers can really benefit from this platform as its reach is tremendous and incredible. You should just know of how to use it.